As many as 1,400 startups have registered with the Innovative Karnataka initiative, set up by the Karnataka Startup Cell, the state's IT minister said. Priyank Kharge told the Press Trust of India that the cell has also disbursed approximately Rs 10 crore ($1.5 million) to some startups. 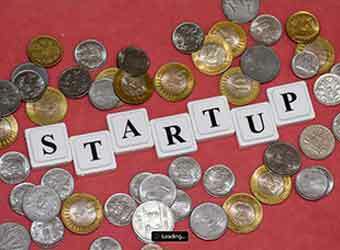 The Karnataka Startup Cell, set up in July this year, invested between Rs 1.5 crore and Rs 1.7 core in an aerospace startup and a few IT innovation startups, Kharge said. Through the Innovative Karnataka initiative, the state government has committed to invest Rs 400 crore and intends to mobilise Rs 2,000 crore by 2020. Kharge said in the report that the funds will be deployed by the state government and banks, which will serve as private partners. He added that the fund will be managed by professionals and the government will not partner with a venture capitalist, but will use their expertise for policy-making. Matching Karnataka's footsteps, the Chhattisgarh government has also launched Startup Chhattisgarh to promote startups in the state. As part of the initiative, the Chhattisgarh government has offered tax relief to 36 firms in the state. Under the initiative, startups will receive 75% subsidy on term loans of Rs 70 lakh for six years, while micro, small and medium enterprises will receive 60% subsidy for state-run industrial parks.